Need New Flooring? For more information on our Flooring Sales, please give us a call at (844) 879-2003 or (404) 286-3945 or visit our showroom. 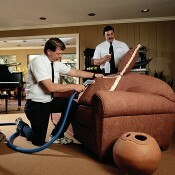 Put our advanced carpet and upholstery cleaning expertise to work for your company. A clean and odor-free place of business helps your company's image and promotes a healthier work environment. With flexible scheduling and extensive service capabilities, Blue Bubble Home Service is the first choice in commercial flooring and fabric cleaning and maintenance. Contact us today to find out about corporate accounts and the many ways we can meet your entire building's needs. Our courteous and professional staff is always available to provide your home or office carpet and upholstery with the finest in comprehensive cleaning services. Residential or commercial Blue Bubble Home Service has the knowledge, tools, and experience to handle your flooring and fabric's unique demands with affordable prices and consistent quality on every job we perform. Call (404) 286-3945 to Schedule Your Appointment Today. Serving Atlanta, GA, as well as Roswell, and surrounding areas.